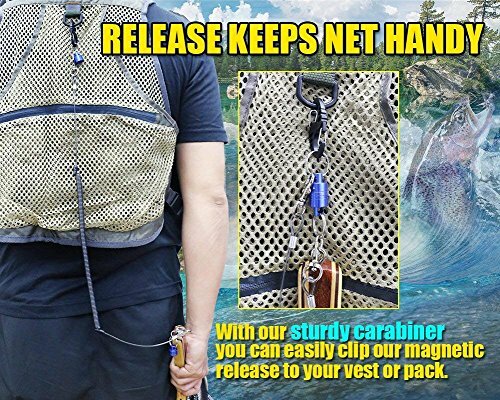 Our magnetic net release keeps your handsfree & your fishing net handy! 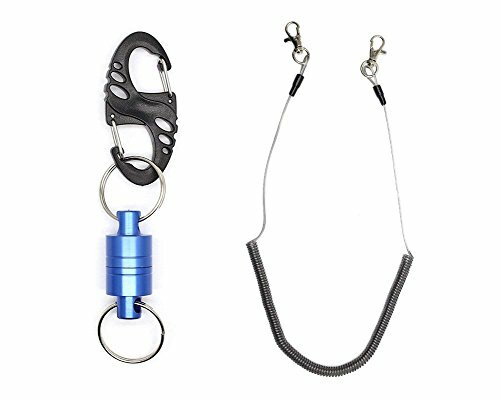 Has 2 super-strong magnets, a retractablecoil & a sturdy carabiner clip for easy attachment. When you’re busy casting your fly, you don’t want to worry about your net. That’s why you’ll appreciate this magnetic net release from Xfishman. 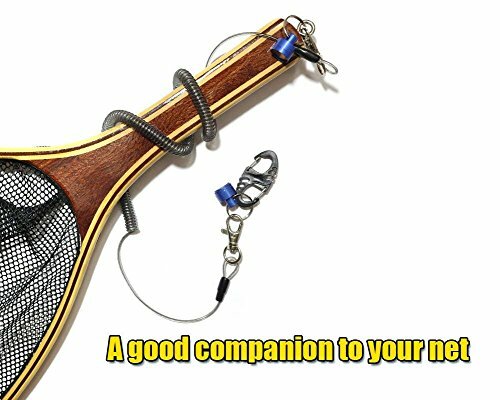 It keeps your net out of your way yet close by &ready when you need it. Your magnetic net release features powerful magnets made of tough Marine-grade aluminum. If it breaks within 1 year ofdelivery, just return it for a free replacement. Order Now for Yourself & All the Anglers on Your Gift List! 【Ultimate Convenience】: With our sturdy carabiner (included), you can easily clip our magnetic release to your vest or pack. That way, you’ll keep your net close by yet conveniently out of your way. 【Works With 1 Step】: Fish on the line? Just tug the magnetic release. This frees up your net, so you can safely scoop in your catch. Never fear: Your net’s still secured to the 9″-96″ retractable coil. 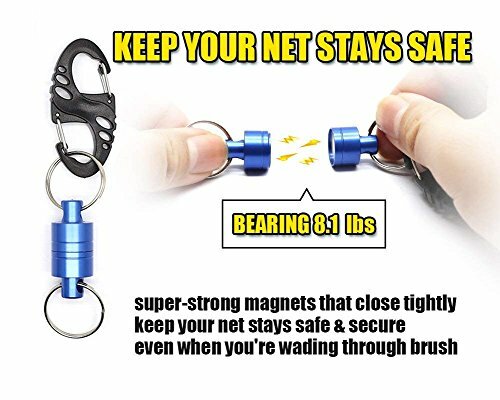 【No More Lost Nets】: Super-strong magnets keep your net attached, even when you’re tramping through dense brush. If your net falls into the water, no worries: Just tug on the coil to retrieve it. 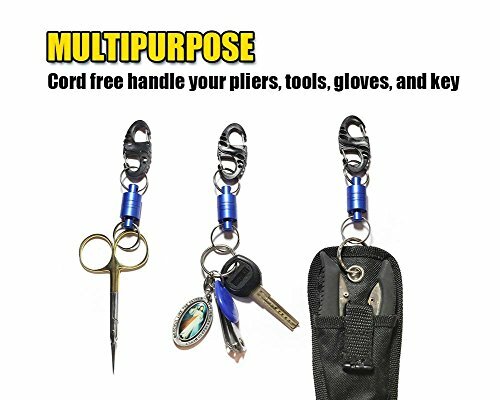 【MULTIPURPOSE】: Cord free handle your pliers, tools, gloves, and key .Utility tackle for every fisherman. 【Reworked for 2018】: The Magnetic Net Release has seen some significant improvements. the clips and cord have been reworked to increase durability.